This is a gentle yoga video incorporating easy chair asanas. Which ever pose helps you to be still and steady with ease can be called as Asana. Here is a small exercise for you in case you are not habituated to meditation. Take out half an hour and absolutely free yourself. Make sure you block out every appointment, switch off the phone and if required lock yourself in a room. Promise yourself that you would sit still for 15 minutes and try not to move a single muscle. Try to concentrate on the breathing. I am recommending to concentrate on breathing since this will make this task easier; but it really is up to to you. Purpose here is not to practice meditation, but to sit still and see the effects. Once you start this exercise you would soon see how difficult it is to sit still even for 5 minutes. You start thinking about various events in the past and also what is likely to happen in future. You will suddenly feel like finishing some urgent task. Then, if you notice carefully, you would be able to observe the uneasiness in the body also. You may feel itching sensation at various places, or little uncomfortable in the back, or stiffness in the legs. You will soon feel like just moving or straightening the back, or adjusting the neck a little. The urge to move the body parts is very strong and you will feel see how difficult it is to sit idle. Basically the mind does not wants to allow you to sit idle. When I first learned about yoga, several years ago, I was skeptical — In my mind it was more of an exercise form, and that too not very impressive since everything happened so slowly; don’t we need to be active for the exercise to be good and gain more benefits, and isn’t yoga suitable only for lazy people who pretended to exercise? Today, I’m happy to say I’m a complete fan of Yoga, practice it and love it and also sit still. Lot of people associate sitting still with idleness, but it is far from true. Practicing stillness is very important to progress in Yoga. This prepares the body to be stable, mind to calm down and gain strength in the back. This will help in meditation since most of the meditative poses are sitting poses. Sitting or remaining still is a pre-requisite to meditate and sitting poses are the easiest poses to remain still. Vipassana, which is Buddhist meditation, or any other meditation practice requires you to sit for very long duration of time without moving. When we move, the awareness comes out to outer state from the inner state which disturbs the meditation. Hence it is important to practice keeping the body still. Start with simple pose which ever is comfortable to you sitting on the floor, like sitting cross legged. Sit for 5 minutes without moving. Then gradually increase the time. When we do this for long time, gradually back will gain good strength and the knees will also have improved tolerance to remain sitted. Constant practice is the only way to do this. keep yourself determined to sit the duration which you have decided. Gradually it will become easy enough for you. You can sit with a wall as support. Sit in Vajrasana Pose. This is easier to sit on compared to the cross legged poses. Also you can sit in this pose after meals and it will also help in digesting the meal. Sit in Padmasana Pose. This is the pose which is recommended in many books and by many people as the most suitable for meditation. Bikram Yoga is a comprehensive workout that includes all the components of fitness: muscular strength, muscular endurance, cardiovascular flexibility and weight loss. The founder, Bikram Choudhury, was a gold medal Olympic weight lifter in 1963 and is a disciple of Bishnu Ghosh, brother of Paramahansa Yogananda. Bikram Yoga is the 26 postures sequence selected and developed by Choudhury from Hatha Yoga. It has been proved and experienced by millions that these 26 postures systematically work every part of the body, to give all the internal organs, all the veins, all the ligaments, and all the muscles everything they need to maintain optimum health and maximum function. Each component takes care of something different in the body, and yet they all work together synergistically, contributing to the success of every other one, and extending its benefits. One of the unusual but most beneficial aspects of Bikram’s yoga practice is the 95-105 degree temperature which promotes more flexibility, detoxification, and prevention of injuries. This is the only yoga style that specializes in using the heated environment. We congratulate one of our yoga students Travis Baltz on signing with the Indianapolis Colts. Yoga is so important not only for professional athletes but for all of us weekend warriors as well. The list of professioanl athletes and pro teams who practice yoga is long and stretches acrossed many sports. The Los Angeles Lakers, Portland Trail Blazers, Philadelphia Eagles, Miami Dolphins, Chicago Cubs, and Colorado Rapids hold yoga sessions for their full rosters and the number of teams are growing. Pro golfer David Duval, soccer veteran Ryan Giggs, football stars Eddie George, Ricky Williams and Shannon Sharp, NBA powerhouses Kevin Garnett, Chauncey Billups and Emeka Okafor, and driver Danica Patrick, all regularly practice yoga – just to name a few. So why do professional athletes practice Yoga? It increases flexibility, strength, reduces pain and prevents injury. It also supports mental focus and fortitude. So, it’s no surprise that a number of athletes are using the practice to support and maintain their performance. Did you come to yoga as training for a sport? Has yoga helped improve your game? Yoga classes are typically taught at health clubs or yoga studios in a group setting, with students of various skill levels. Private yoga classes at home allow you to relax and focus in the environment you are most comfortable. Also, it allows more time for the teacher to give you the attention you need to develop and deepen your practice at your own pace. Private lessons are for all levels of students from complete beginners to advanced students and even yoga teachers. With an individually tailored program, clients can progress continually and gain the benefits of yoga – creating vibrant health and clarity of mind. 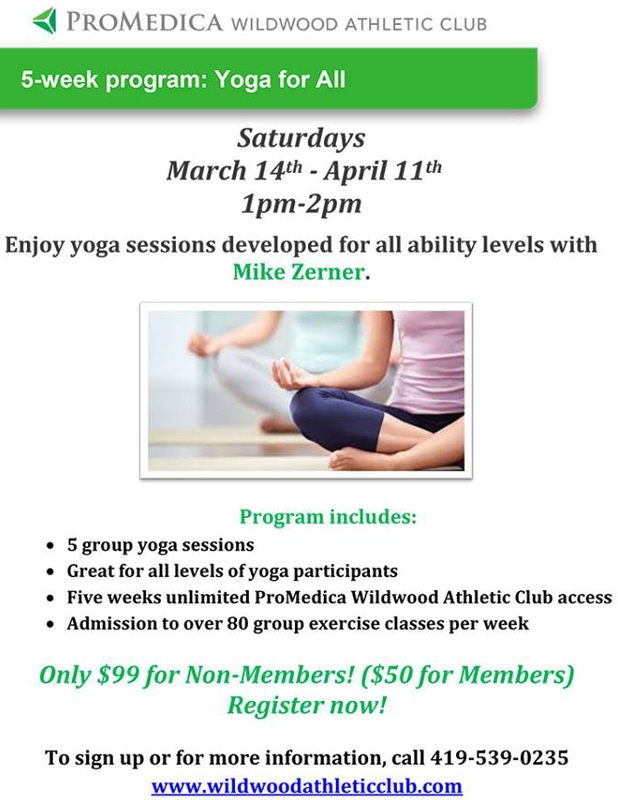 Mike Zerner is available for private yoga classes in Toledo Ohio and Northwest Ohio. Contact Mike Zerner at 419.467.8141…for more information. The young Summer has brought Toledo a bright sun and warm breezes so I am getting out of the studio and into nature! 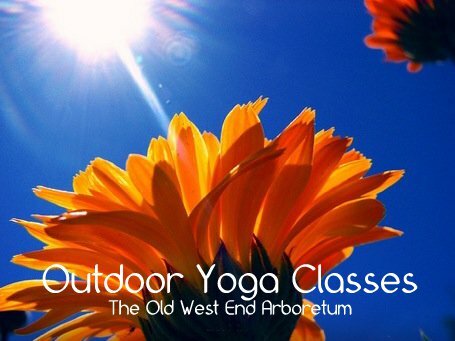 I will be leading outdoor yoga classes at The Old West End Arboretum starting June 5th at the corner of Delaware and Glenwood on Mondays from 5:30pm to 7PM. Come join us for this wonderful world of yoga in this great park!